I don't know what possessed me to make pizza at 11 o'clock pm! It's not so much the cooking as it didn't take long to do it but getting stuffed in the middle of the night when I should be sound asleep already. I may have to stay up a little bit longer but I can't deny that the flatbread pizza tasted good. 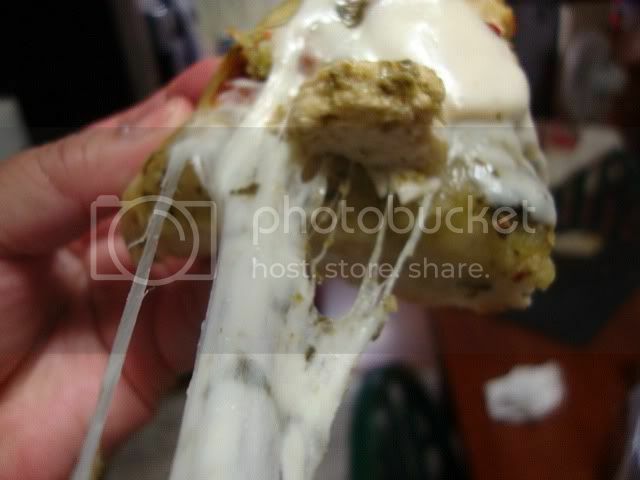 It has a nice crust but soft on the inside. And the best part of it is it didn’t have the saltiness I hate when using store bought dough. My thanks again to Jaden for the wonderful no-knead dough recipe. 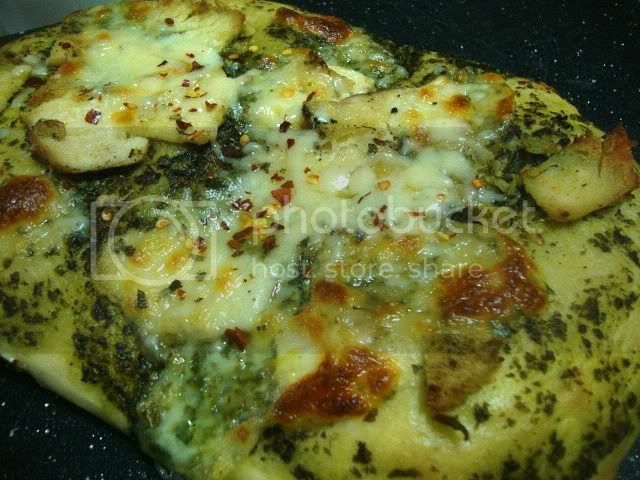 I used my lemon-basil pesto and slathered it on the dough before topping with the baked chicken pesto I made earlier. 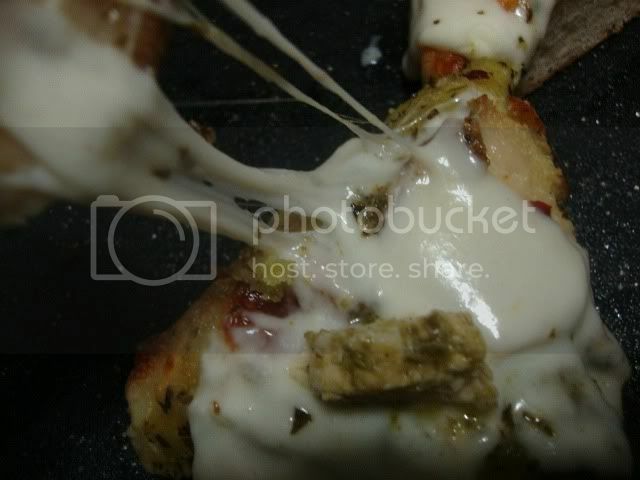 I chopped fresh mozzarella and drizzled sun dried tomato olive oil on top as well. Then I sprinkled dried oregano and red pepper flakes on top for a better pizza feel- and aroma.